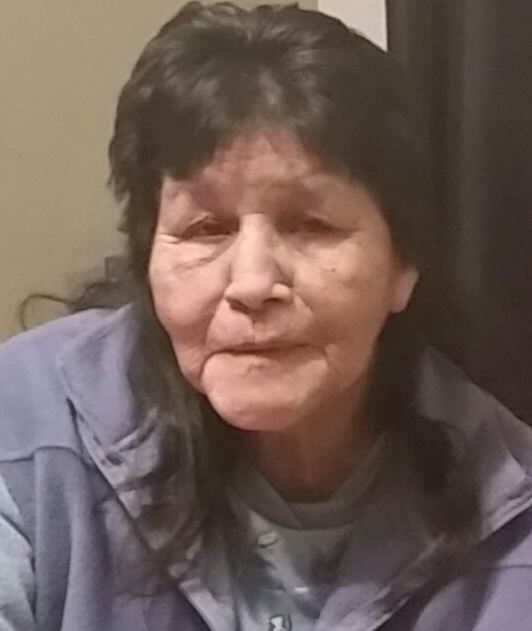 Obituary for Mary A. Gladue | Mission View Funeral Chapel Ltd.
On Sunday, April 14, 2019 Mary Gladue of Lac La Biche, AB passed away at the age of 73 years. Mary is survived by her sons David (Christine) Gladue, Kenny (Natalie) Gladue & Richard Gladue, grandchildren Amanda, Kaesha, Ethan, McKenna, Tymesha, Kiandra, Adrien, Ciara, & Briell, sister Sarah Palamaruk, brother in law Ralph Whitford, numerous nieces, nephews, cousins & friends. Mary is predeceased by her husband John Desjarlais, son Gabe Gladue, parents Charles & Eliza Lewis, sisters Mary Ann Whitford, Victoria Lameman, Eva Gladue, Annie Gladue & Mary Jane Cardinal, brothers Joe Lewis & George Lewis. Wake on Wednesday, April 17, 2019 at 4:00 pm at Beaver Lake Multipurpose Building at Beaver Lake with Fr. Aureus Manjares officiating. Funeral Service on Thursday, April 18, 2019 at 11:00 am at Beaver Lake Multipurpose Building at Beaver Lake with Fr. Aureus Manjares officiating. Interment will follow in the Beaver Lake Cemetery, Beaver Lake, AB.